Five of the fifteen players from the 1913 team photograph: Turner, Poulton, Jackson, Ross and E. H. Cowen were killed in the war. The most distinguished casualty was Captain Noel Chavasse, one of identical twin boys who were both Olympic athletes. Noel is the most decorated British army officer of the First World War, having won the Victoria Cross (the highest military honour) not once but twice. He was an army doctor who tended the wounded under heavy enemy shelling and sniper attack in No Man’s Land at Guillemont in 1916 and the Battle of Passchendaele in 1917. He was killed in action in 1917, aged 32. His twin brother Christopher played for Liverpool over three seasons between 1907 and 1909. It is likely that Noel was a member of the club and watched his brother play. After graduation from Oxford in 1910 Christopher became a Church of England curate in St Helens and played at Knowsley Road for St Helens RLFC as an amateur. He survived the war and went on to become Bishop of Rochester. 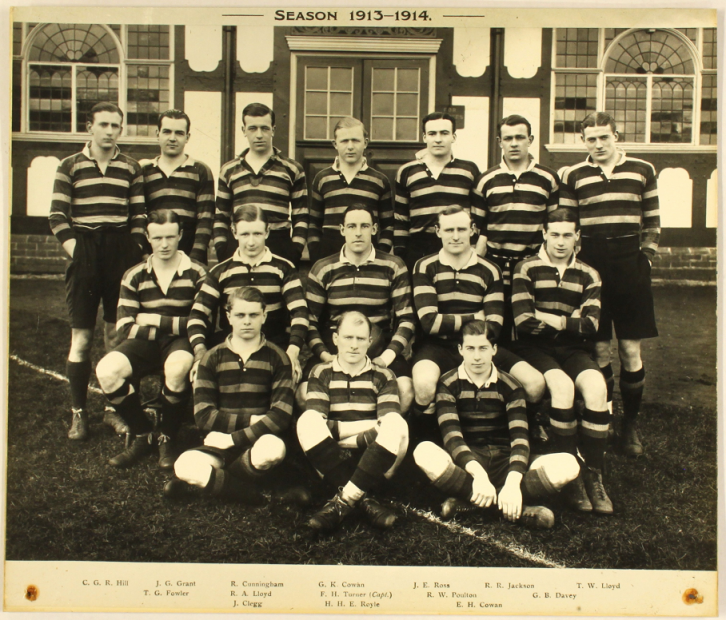 * This team photograph was reproduced (courtesy of the club) in ‘After the Final Whistle’, by Stephen Cooper, first published 2015, commemorating all England Internationals killed in the war which included a further Liverpool player, L. A. N. Slocock.